CHICAGO (WLS) -- In case you were wondering what baseball players do during a two-hour rain delay, check out the video the Cubs posted on Twitter Saturday. 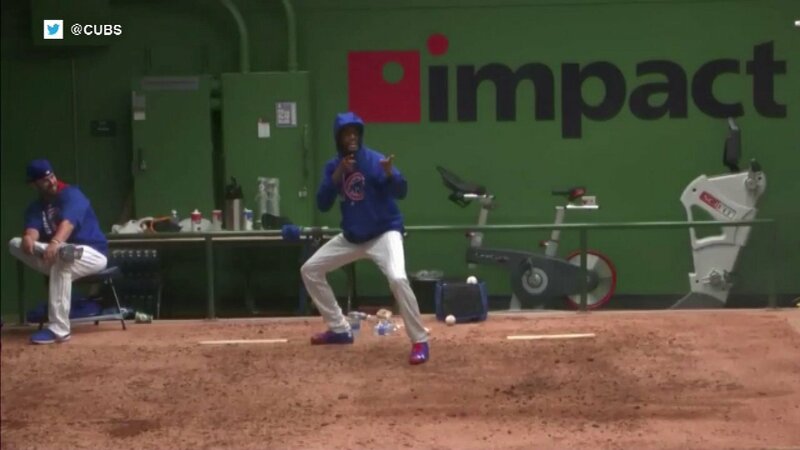 There was a dance-off at Wrigley Field between the Cubs' and Brewers' bullpens. We're wondering if any of these guys will be following in David Ross's footsteps on Dancing With the Stars.